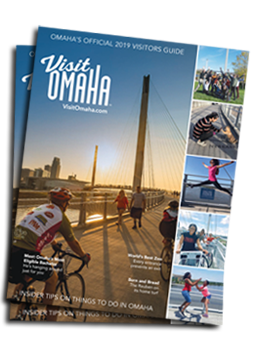 OMAHA, NE., May 10, 2018 – More than 18,000 employees work in the tourism industry in the Omaha metropolitan area. This week the best of the best were honored for their outstanding contribution to the industry during the Second Annual Omaha Metropolitan Area (OMA) Tourism Awards celebration. Among the winners were: Darien Christiansen, who started as a line cook with Embassy Suites La Vista through a program for special needs individuals; Matt Burcham, director of event operations with CenturyLink Center Omaha, known nationally for his skill in coordinating large scale events such as the Berkshire Hathaway shareholders meeting and the U.S. Olympic Swim Trials; Elizabeth Dueling from Pottawattamie County, who started at the Best Western Plus near the airport as the front desk clerk and in three years worked her way up to becoming the hotel&apos;s director of sales. The OMA Tourism Awards Organizing Committee selected College World Series of Omaha, Inc. President, Jack Diesing, Jr., as the 2018 "Tourism Hero of the Year." Diesing is the first recipient of the award. "The Tourism Hero award honors an industry professional, volunteer, public servant or partner who has provided long-term excellence in leadership and support for the tourism industry," said Fred Uhe, tourism director for Sarpy County Tourism. "Jack fits the bill on all accounts." "Jack&apos;s enormous impact on the area&apos;s tourism economy over the last 30 years has been felt by all three of our counties," said Keith Backsen, executive director for Visit Omaha. "The CWS has an estimated $70 million economic impact on the metro area, and because of Jack&apos;s dedication our communities will reap those rewards for years to come."